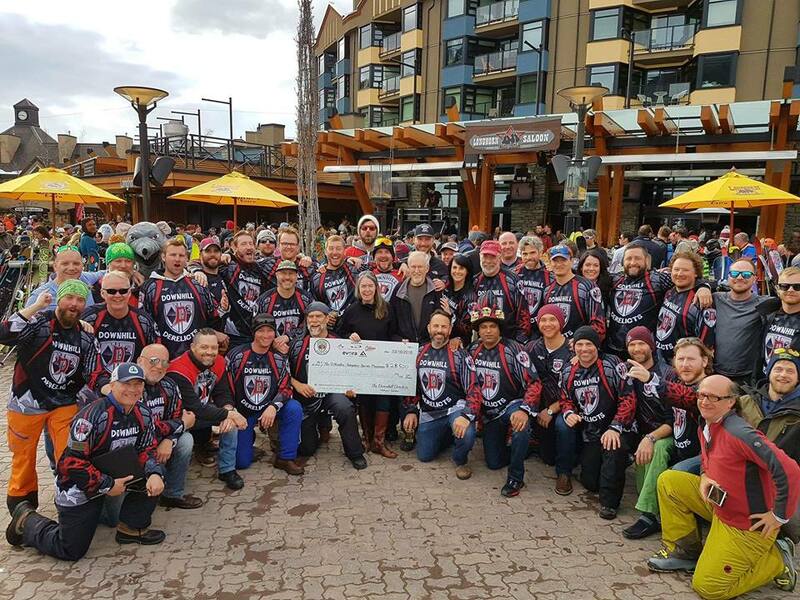 A group of outdoor enthusiasts raised over $50K to provide individuals with disabilities, including veterans, opportunities to access and enjoy sports via the Whistler Adaptive Sports Program. In 2017 the Downhill Derelicts partnered with the Whistler Adaptive Sports Program (WASP) to create the “Today We Ride” program. One hundred percent of the funds earned go directly to WASP to support its Hawkes Program. The Hawkes Program is designed to introduce injured veterans to winter and summer adaptive sports, as well as meet other veterans suffering from physical and mental health injuries. Founded by Special Forces veteran Ben Mead— a WASP volunteer— the Hawkes program was created in honor of Mead’s close friends Scott Lewis Boyd Hawkes. Hawkes suffered from PTSD and passed away in August of 2016. Since its inception, WASP and the Derelicts have partnered with Pledge It to provide the digital arm to this program. The Downhill Derelicts partnered with Pledge It to provide an online, performance-based atmosphere so the participants could really get into the competition on the slopes and participate interactively with the money they were raising. The Derelicts created a central program website and an avenue for the athletes performing the event to quickly build a custom campaign. The sites were easily shared with friends, family, and community members. The donations and pledges came in shortly thereafter. Those who wanted to pledge simply picked a Derelict to sponsor. Contributors could pledge per foot skiied, or make a one-time flat donation. The five-day competition saw each athlete ride as many feet as they could in that time, with all proceeds supporting WASP and its veterans. Of course, this is all made possible by the Downhill Derelicts and their many supporters. Pledge It is thrilled to work with the Downhill Derelicts in future campaigns and play a part in such a philanthropic mission. READY TO IMPACT YOUR COMMUNITY?